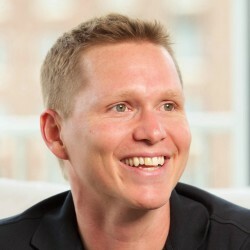 Mark Sullivan is Director of Partnerships at CallRail, an Atlanta based marketing analytics company used by more than 25,000 businesses in the U.S. and Canada. At CallRail he helps marketing agencies get the most out of call tracking data through advanced advertising analytics and software integrations. He frequently speaks at marketing technology conferences and writes for industry publications about trends in local search advertising. He can be reached on Twitter at @mpsulli. Know Your Calls. Know Your ROI. Even if your website has an online appointment request form, many new customers will make their initial contact over the telephone. Yet remarkably few Canadian businesses are analyzing inbound phone calls to learn more about the performance of their advertising. Call tracking and analytics software is made to do exactly that. Using it helps marketers everywhere understand the impact of advertising campaigns and make data driven decisions about what makes the phone ring. Easy to set up and easy to use, call tracking can deliver those missing insights that your business needs to better engage target audiences and increase ROI on advertising. If you’re serious about making improvements to your marketing to increase profitability and better serve your community, you need call tracking. 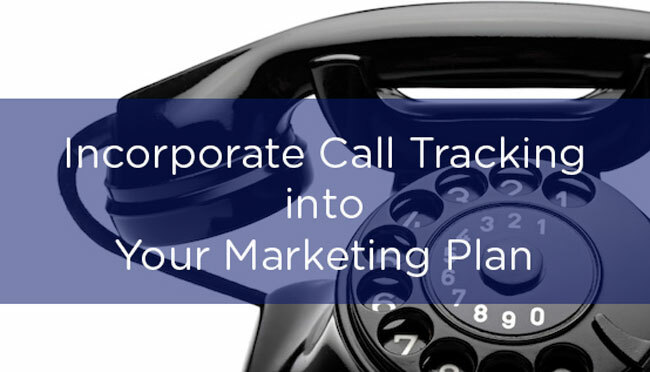 How to use the data from call tracking to increase your marketing ROI. In a report she developed on the challenges of direct marketing for the Canada Post, Mona Goldstein noted that when Canadian businesses are surveyed about marketing, customer acquisition “is cited as one of today’s biggest marketing challenges”. With more channels than ever for prospective customers to reach out to businesses, businesses are often facing greater competition in new, untested advertising channels. 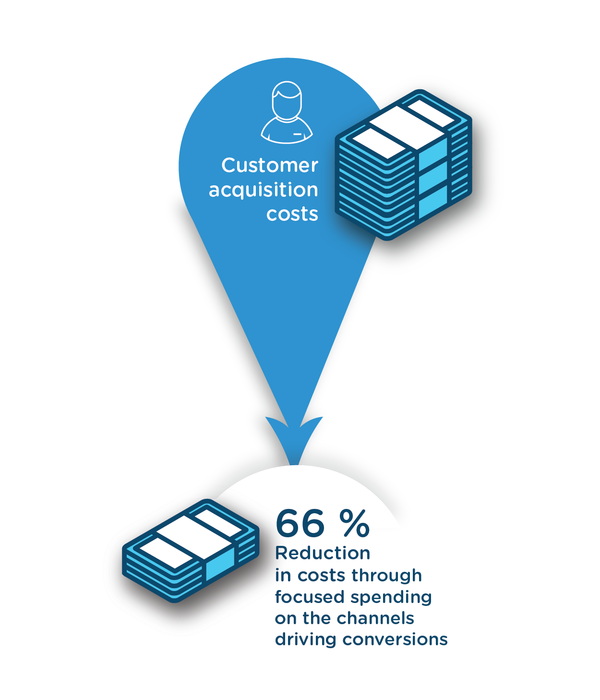 To put it simply, customer acquisition in a multi-channel media world requires a laser focus on Lead Acquisition Cost to be successful. It is simply not feasible to grow your business efficiently by investing in various forms of advertising without knowing how much is coming back. Realistically, to compete with businesses in your market, you need a sophisticated multi-channel marketing campaign that promotes your business’s full range of services. These campaigns are not cheap: It often costs more than $50-$100 to generate a single high-caliber new lead using a range of online and offline channels. By focusing spending on effective channels with call tracking, you can reduce those acquisition costs up to 66% according to CallRail data. Savvy marketers around Canada are investing heavily in marketing their businesses, while also demanding to see a strong return on investment from each channel. Since many new customers end up engaging with a business for the first time over the phone, call tracking helps these marketers refine their approach by delivering insights about which channels drive new business over the phone. Until call tracking was developed, it was next to impossible to know which marketing effort drove a customer to call your business about a specific service. You could easily check pay per click advertising campaigns, but had no reliable way to monitor the effect of offline advertising efforts, from direct mail to television spots. Additionally, unless customers clicked on your ad, you could not know whether digital advertising campaigns were effective. Bottom Line – If you want to increase visibility for your business and grow efficiently, you need more than just new customers. You need to know how they found your business, so you can invest in what works. A proper call tracking setup does just that. When it comes to marketing, making the tough call about which campaigns to invest in and which to scale back on can be difficult, especially when there is not enough information to make an informed decision. After making the call to stop advertising on local radio station or trim your social media advertising budget, you may watch as your new customer acquisition plummets. A wrong guess could lead to a drop in business. With a call tracking system in place, you can see at a glance which ads on which channels are leading to phone calls and which are not. You can make decisions faster and with more authority, tweak advertisement spending to better serve your goals, and leverage call recordings to convert more leads through superior customer service. Call tracking can help end your agonizing over difficult marketing decisions by allowing you to watch the success of your campaigns in real time. If your radio ads lead to a 300 percent increase in phone calls, you can invest more money in radio advertising with confidence. 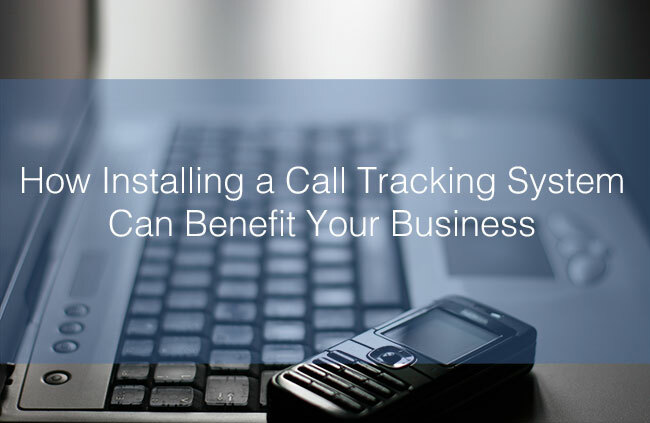 Sophisticated call tracking software can show your phone-answering staff more information about an incoming caller, such as the search term they used to find your business. When your reception staff already knows what a caller needs assistance with, they can deliver efficient help while multitasking in a busy reception area. Call tracking also includes call recording, which can then be used to provide better staff training. For example, let’s say that front desk employees regularly receive calls about a specific service, which happens to be a highly profitable one at your company. Front desk staff may not effectively field questions about how this service works or answer prospective caller’s concerns in a way that leads to new business. If front desk staff cannot answer frequently asked questions about this profitable service, callers may not want to book these services – or even basic services at your business.Your advertising may have generated a strong lead, yet your front desk staff could not effectively convert the lead by providing helpful information. Without call recording, you would be left in the dark about A. the effectiveness of the advertising channel that drove the calls about that service; and B. about the quality (or lack thereof) of customer service given by your staff. Imagine that you could listen to five inbound phone calls about this service, review the handling of these calls, and show front desk staff where and how they could better answer customer questions. You might even decide to prepare an FAQ script that would make it very easy for staff to discuss this profitable service with new callers. By recording calls, reviewing them, and acting upon insights to train staff in better handling customer inquiries, call tracking helps you increase over-the-phone revenue. Customers also feel better when they receive helpful information over the phone, and will retain a positive impression of your company. Better customer service increases customer satisfaction and loyalty. This in turn leads to more word of mouth referrals, which are invaluable. These are just a few of the use cases for call tracking and call recording in a typical business. There are many ways that call tracking increases your business’s visibility and reach while streamlining the experience prospective customers get over the phone. Call tracking software matches incoming phone calls directly to online and offline marketing campaigns, thereby taking the guesswork out of evaluating the success of ads. It’s all the more important as data shows that calls to businesses continue to risefor companies across North America. But how do you match this surge of calls to the keyword, or specific ad that drove it? 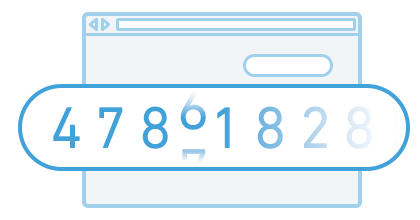 Dynamic Number Insertion. Using a technique called dynamic number insertion (DNI), call tracking software shows a specific phone number to every visitor, and depending on your setup, can even change according to the source of traffic. This sophisticated form of call tracking allows you to see at a glance which marketing channels and even which keywords are delivering high-quality leads over the phone. If you don’t want to dive into dynamic number insertion call tracking, you can get started quickly with static 1:1 or source-level call tracking. Create a unique call tracking number for use in print flyers, radio or television advertisement spots, email marketing campaigns, or anywhere you choose. 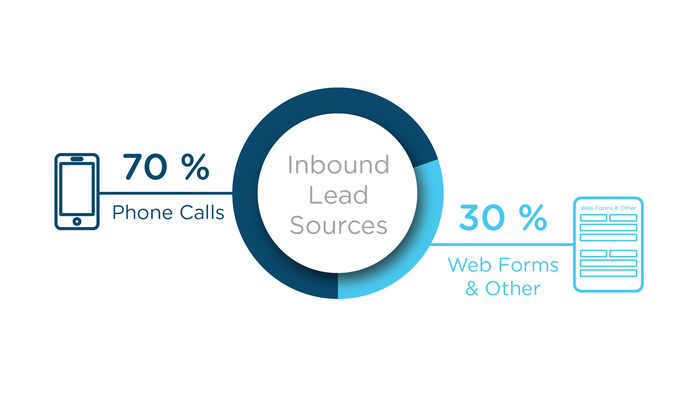 Use the phone number in your marketing campaigns and rely on the call tracking software to gather real time data about inbound calls. While dynamic number insertion is required for sophisticated analytics, even static call tracking will help you refine your marketing campaigns so you can increase the quality of leads and gain new customers through smarter ad spending. Call tracking is easy to set up yourself, even if you do not consider yourself tech-savvy. You can either choose a new telephone number or port your existing business phone number into a call tracking system. Call tracking can also integrate with a content management system like WordPress through a plugin. Simply install and activate the plugin. Enter your call tracking identification, so you can begin setting up campaigns. Then, set up the tracking numbers for each different marketing campaign. After you learn the dashboard settings, checking campaign effectiveness is as simple as logging in and reviewing the numbers. If you outsource your marketing to a local firm, they can enable call tracking on your behalf and deliver analytics to you or walk you through using the dashboard so that you can analyze your call data yourself. Regardless of who you hire to do your marketing, there’s evidence you’ll be a much happier client if they include call tracking and analytics in their solution.